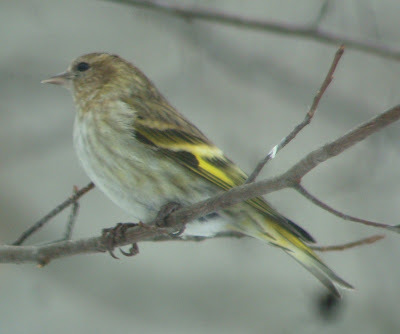 Well, after waffling on Friday's unusually pale Pine Siskin, today I had another individual (not the same bird) which appears to be the real thing (!). 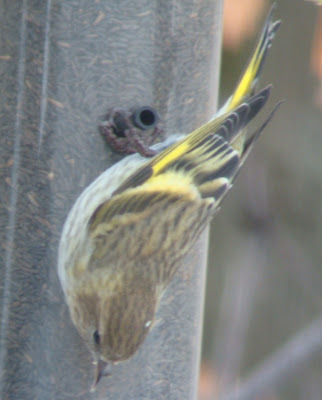 This bird is also considerably more washed-out on the underparts than normal Siskins, but its upperparts appear to be largely as dark a shade of brown as the others, not the washed-out, diluted, color of Friday's bird. 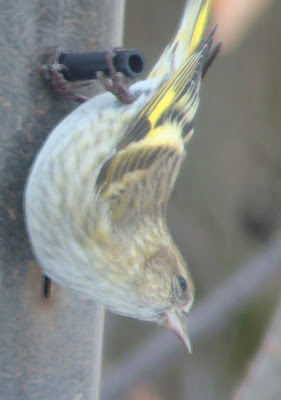 What's more, this one has immense amounts of yellow in the bases of the remiges and rectrices which were striking even to the naked eye, in addition to the strongly yellow undertail and uppertail areas. There was a definite greenish tint on the mantle (stronger in some views than in others), and some yellowish in the flanks and neck as well. 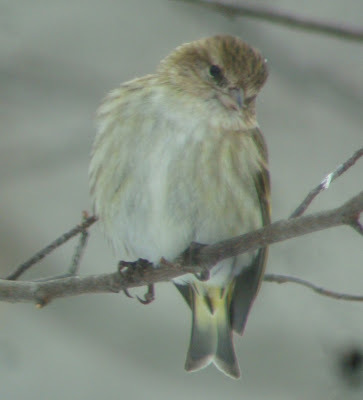 Thoughts on this bird would be welcomed in the comments box. Here is the only comparison shot which includes a normally-plumaged PISI. Nice bird Caleb. 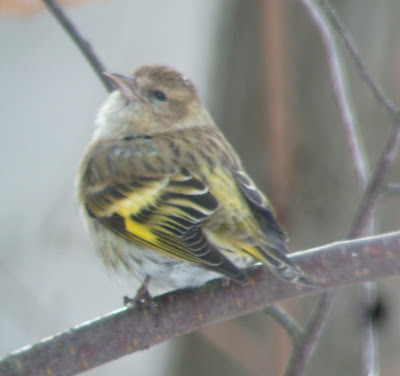 Check out the Stokes Birding blog for some more photos/info. 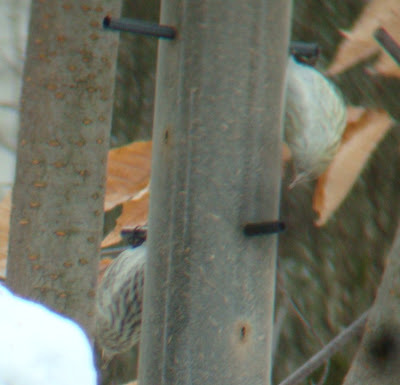 My only note so far is that the bird on the Stokes blog looks like it's got rather sharp streaking on the breast and flanks compared with your bird having faint streaking. One more note...if you look at fig. 2 in the Mclaren article I think we've found your bird...faint streaking and all. I definitely haven't seen a PISI like this before. Nice shots. 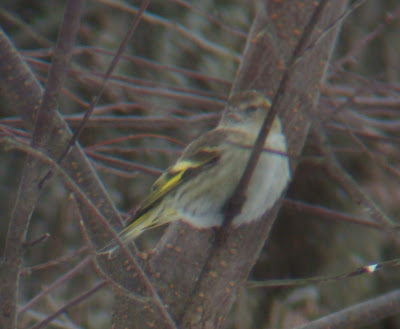 From everything I can gather from the McLaren article, this bird seems consistent with a green-morph PISI.